Today Dakota and I are proud to participate in Be the Change For Animals annual blog hop. It is their mission is to highlight one cause per week and provide information on how readers can help “Be the Change for Animals”. There are 4 quarterly blog hops which we always choose to be a part of, whether it be on just one of our blogs or both. 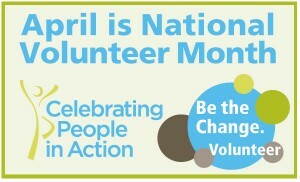 In honor of April being National Volunteer Month “Celebrating People in Action” I would like to celebrate author C.A. 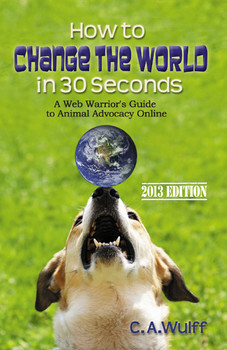 Wulff and share the valuable resource that she has written, called How to Change the World in 30 Seconds, A Web Warrior’s Guide to Animal Advocacy Online. From How to Change the World in 30 Seconds: this book is dedicated to all of the individuals and groups who devote their heads, hands and hearts to improving the world for companion animals. You are all, every one of you, my heroes. That dog could go on to become a service dog helping a handicapped person, maybe he will become a search and rescue dog. The more dogs (and other animals we help save) the more a ripple effect is caused. Freekibble– a website that donates food to shelter animals just by answering a daily trivia question. The Animal Rescue Site which offers a big purple button on their home page that says “Click here to give, it’s FREE!” and when you click on that button the site sponsors will donate food and care to animals living in shelters and sanctuaries. Petfinder where 13,969 U.S. shelters and rescues list the animals they have available for adoption. In this book you will learn about how you can help animals through using Twitter, Facebook, and a bevy of other resources. You will learn about various animal rescue groups, pet transport pages/sites, you will have enough resources at YOUR FINGERTIPS to help YOU “volunteer’ FROM YOUR OWN HOME! How to Change the World in 30 Seconds will also teach you how YOU can make a difference by heading out into the community and being one of millions of volunteers who champion various animal causes in a variety of ways. By reading How to Change the World in 30 Seconds you will learn that YOU CAN MAKE A DIFFERENCE in the life of an animal in ways that you never dreamed were possible! Since I began my primary blog, (Cat Chat With Caren & Cody), it has been important to me to take part in Blog the Change For Animals, a well-known blogging event where bloggers blog about causes, people and events that are near and dear to our hearts in the world of animals. Blog the Change For Animals takes place annually, (January 15, April 15, July 15 and October 15). Many of us blog about animal causes that are important to us all throughout the year, but it is extra heart-warming to see so many come together for this most important event. I was given the opportunity of reviewing a marvelous book this past weekend, Paw Prints in the Sand by author Elizabeth Parker. This is not the first book that I have reviewed of Elizabeth’s, it is at least the third! Through the course of reading and reviewing Elizabeth’s books, I not only became a HUGE fan of her writing, but I have enormous respect and admiration for her as a PERSON. Elizabeth has to be one of the kindest, most compassionate women that I have met on my blogging journey. ****More about that at the end of this blog post. Why include Paw Prints in the Sand in the Blog the Change For Animals blogging event? While reading this book I saw that there was no way that I WOULDN’T include it. Paw Prints in the Sand tackles important subjects such as; the importance of spaying and neutering pets and adopting from a local shelter, as well as the horrors of irresponsible “backyard breeders” and the deplorable conditions that puppy mill pups are subjected to. From the moment I began reading Paw Prints my heart was pounding, my attention was riveted, I was on the edge of my seat. I originally had planned on reading Paw Prints last Friday night, and my intention was to begin the book and finish it on Saturday. I finished Paw Prints in about three hours. I could NOT put it down. The imagery evoked is often unsettling , there were times that I cried, gasped and cringed, the plot was so real to me that I had forgotten that this book is a work of fiction. While the book is fictional, the conditions described in Paw Prints, sadly, are NOT. Although this book and the groups/organizations in this book are a work of fiction and a complete figment of my imagination, unfortunately puppy mills and backyard breeders are quite real. The fears and quirks I’ve described in this book are extremely common with rescue dogs. The environment for puppy mill dogs is incomprehensible. Keep in mind that while not all, many puppy stores do get their puppies from puppy mills and it is a continuing practice here in the United States. Use Coupon Code SG6M99JZ for $2.00 Off on createspace orders! A portion of the proceeds from her books are donated to various animal rescue groups. Click on the photo to see Elizabeth’s beautiful creations and to purchase. 40% of the sales of Buddy Bracelets will be donated to canine cancer foundations. Now, as you can see, after reading about Paw Prints in the Sand and Elizabeth’s ongoing philanthropic efforts for rescue dogs, there was no way that I would ever think of NOT making her mission the topic of my Blog the Change For Animals post. FROM DAKOTA’S DEN: I am proud to be a supporter of the efforts of www.BtC4animals.com where bloggers come together to help animals in need and/or to showcase causes, stories about animals that are close to our heart and about animals who are making a difference. I am a “dog hobbyist”, a “dog enthusiast”, as many of you are. I am not the end-all be-all authority on MANY issues and never pass myself off as being one. When I want to feature animals, news or stories that I am not an expert in, I share blog posts with you by others who in many cases ARE authorities in specific areas that I am not, or have first-hand knowledge of issues and stories that I may not have. Today, I am proud to present to you, one of these people! 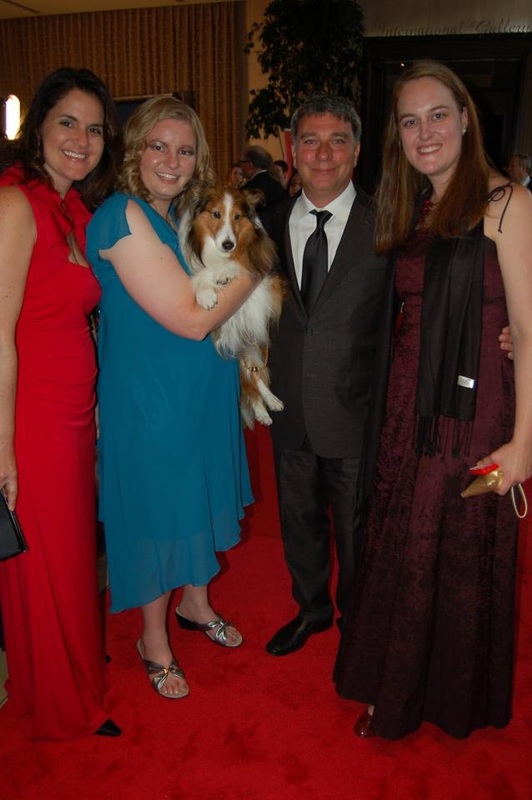 Today Heather Kalinowski will tell you about the 2012 American Humane Association Hero Dog Awards that were held in Beverly Hills and that she had the honor of attending! Heather Kalinowski is a pet lover and new mom who spends her days helping other pet owners protect their pets with dog and cat insurance. Trupanion offers 90% coverage for diagnostic tests, surgeries, and medications if a pet becomes sick or injured. 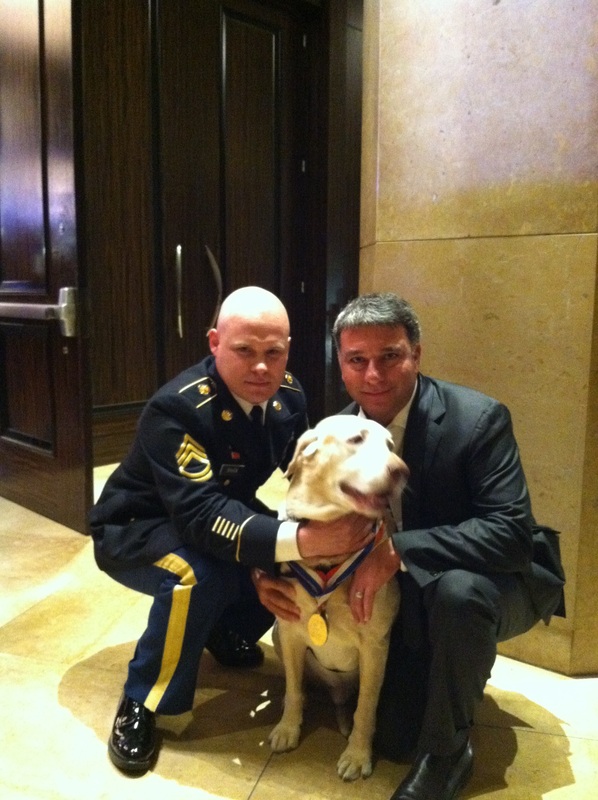 On Saturday, October 6, Trupanion had the honor of attending the 2012 American Humane Association Hero Dog Awards in Beverly Hills. This event was a tribute to the powerful relationship between dogs and people – one we all know extremely well, whether our dogs spends their days searching rubble for lost people or at our feet giving us comfort and companionship every day. At this event, eight dogs were specifically honored as winners in specific categories. I am honored to introduce you to these eight amazing dogs, with just a snippet of their incredible stories. Law Enforcement/Arson Dog: Jynx was the canine partner of Deputy Sheriff Kyle Pagerly. During an attempt to execute a warrant, Jynx alerted Deputy Pagerly and his team to the suspect who was in hiding, running ahead of the team and flushing the suspect into view. The suspect fired and killed Deputy Pagerly and wounded others. If it had not been for Jynx, many others would have lost their lives that day. Jynx is now the adopted family pet of Deputy Pagerly’s wife and daughter. TruTeamHolly! She is a SHELTIE like ME!!!! Service Dog: Holly, a Seizure Alert dog, alerts her owner Shanna Wilkinson when Shanna is about to suffer an epileptic episode. This allows Shanna to be able to live life to its fullest without fear and together the twosome has traveled the world. Trupanion is the proud 2012 Hero Dog Awards sponsor of this category. Therapy Dog: Stella, a Standard Poodle, was certified by Therapy Dogs International in July 2011. Stella began volunteering soon after at a residence that houses 76 people who have significant intellectual, medical, and physical disabilities. Stella brings smiles and stimulation not otherwise available to these individuals, making their lives better and giving them hope. Military Dog: Gabe – a big, handsome, Yellow Lab – served in the military with his handler, Sgt. Charles Shuck, from 2006 until 2009. In that time, he completed over 210 combat missions with 26 finds of explosives and weapons. Now retired, Gabe continues to visit schools and inspire children with compassion and respect and the importance of staying in school. Guide Dog: When Anne Drake lost her sight, she became depressed and lonely. Then Tabitha came along. With Tabitha’s help, Anne was able to start living a full life again, overcoming her fear of “the dark” and trusting herself, and others, again. Tabitha is now retired but will always be Anne’s Hero Dog. Search and Rescue Dog: After Soot, a Black Lab, was adopted, his new guardian realized Soot was a dog that needed a job. Soot became a certified Search and Rescue Dog and immediately helped find and save a 78-year-old diabetic man who was lost in the woods after a hunting expedition. Hearing Dog: Tatianna II is not just a hearing dog, although she does provide that amazing service to her guardian, Cristina Saint-Blancard. She is truly a lifesaving dog. Diagnosed with Meniere’s disease, Cristina often got ear infections, one of which led to an asthma attack that left her struggling for breath one night. Tatianna woke up and alerted her family to the crisis – Cristina was able to get the care she needed because of her dog. Emerging Hero Dog: Daniel is the definition of a survivor. After being part of a group of 18 dogs in an Alabama shelter who was sent to be euthanized via a gas chamber, Daniel was still standing, and wagging his tail, when the gas chamber doors were opened. He was put up for adoption and now tours the country with his new forever family, fighting against the use of gas chambers for euthanasia. These eight dogs are absolutely inspiring. It’s amazing and honestly, about time, that we had the opportunity to truly recognize and celebrate the hero dogs in all our lives. Dogs are amazing creatures who offer us complete devotion, constant companionship, utmost trust, and never-ending loyalty and love. I’d love to hear about the hero dog in your life. What makes them a hero to you? which is a special, online global event created by Be The Change For Animals in their hope to stress the importance of dog rescue. Sharing this post across all forms of social media and encourage others to paticipate! Had she and Dad known about them, I might not have ever come to live with my Mom and Dad! At that time obviously it wasn’t meant for them to know about Pilots N Paws but Mom was in complete awe when she met a gentleman named Darren a few months ago at a special ” Pet Connect” meeting that was held by Michigan Humane. Darren had shown a video and had told everyone in attendance about Pilots N Paws. Mom was completely in awe of the fabulous work that they do! Guess what? If you are a pilot, they need you! We thank Pilots N Paws for the amazing work that they do, and we raise our paws to them!!! Bloggers Unite For Dog Rescue!! 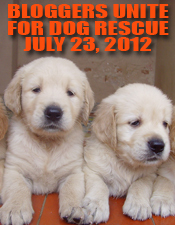 Promote Dog Adoption On July 23! Hi everyone! It’s Dakota, and this is my first time participating in Blog the Change for animals. Normally, my brother Cody from Cat Chat participates, but this time he passed it on to me. Why? Because I am here to tell you about a special event coming up on July 23rd. Many of you are probably shaking your head wondering why a pure breed dog would be promoting Dog Rescue. I’ll tell you why. If my parents had a Sheltie rescue near their home, that is where they would have gotten me. Not that they regret having me, NEVER! It’s just that when they wanted to get a Sheltie, my Mom wasn’t blogging, she didn’t know that there are pet transport services such as Pilots N Paws that could have flown a Sheltie to HER!! All my parents knew then, was that the Sheltie rescues that they searched online for were much too far for them to visit. They do not regret purchasing me from a RESPONSIBLE breeder at all. Mom and Dad love the breeder where I came from and still keep in touch with her. It is just their first choice would have been to help a dog in need. So, on July 23rd we are going to be joining other dog bloggers in helping to spread the word about Dog Rescue. Sharing this post across all forms of social media and encourage others to participate! Blog The Change For Animals, Not Just Dogs, There Are OTHER Animals Too!